You are here: Home » Outside Tibet » Kalachakra for tourism? (TibetanReview.net, Jan17’19) – There have been Kalachakra for world peace teachings given by the Dalai Lama; but Kalachakra for tourism? Hoteliers and restaurateurs in Dharamsala, the hill town in Himachal Pradesh state of India, where the Dalai Lama has lived since 1960, have requested that a Kalachakra teaching be given in the place to attract large number of visitors and thereby revive the town’s flagging tourism industry. The tourism industry in the town suffered severely last year as a result of a large number of hotels being closed under court orders for illegal constructions as well as the denial of IPL cricket matches due to controversies over the stadium. The president of the town’s hotel association, Ashwani Bamba, has said his group had written to the office of the Dalai Lama for the teaching to be held this year. He said that these teachings will boost the dying tourism circuit of this region, reported timesofindia.com Jan 15. “During the teachings, the stay period of the visitors is long. It extends from 10 to 20 days. Government should also support Tibetans for hosting such events. Andhra Pradesh, Bihar, UP and governments of other states have openly extended their support to such teachings,” he was quoted as saying. The Dalai Lama’s schedules are planned at least a year in advance and Dharamsala, a mountainous area already known for severe traffic snarls and water supply shortage during the peak tourism season, both lacks infrastructure and presents difficulties for making arrangements for the kind of mammoth gathering attracted by the teaching. 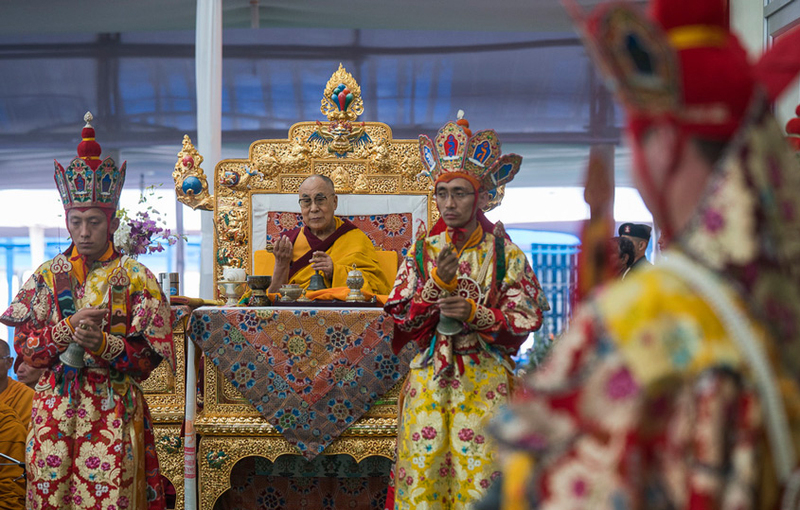 The Dalai Lama last gave a kalachakra teaching at Dharamsala in 1970.